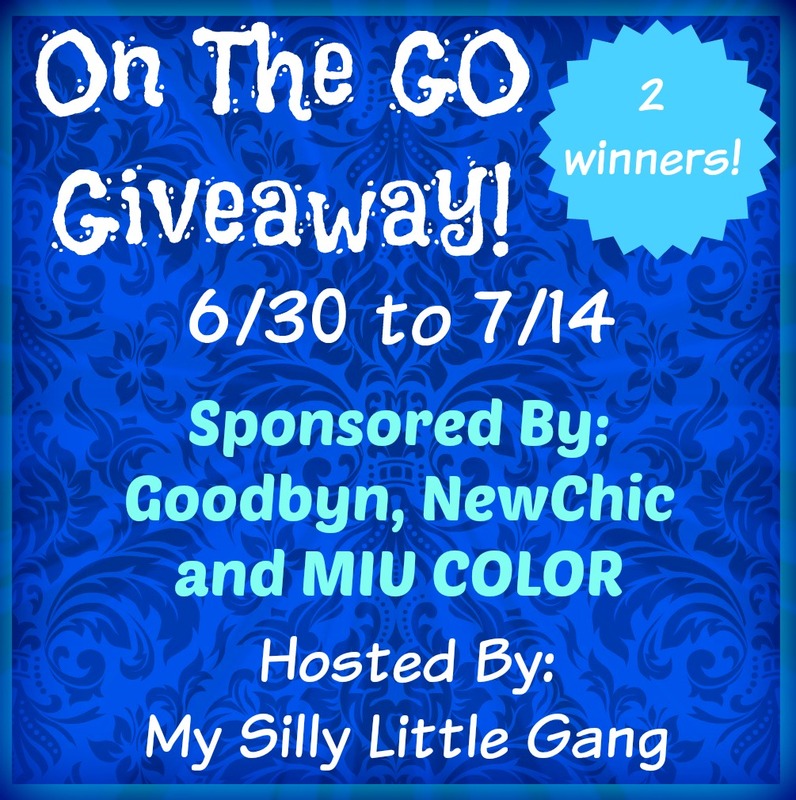 Welcome To The On The Go Giveaway! When we are on the go or out and about there are things that can make our lives easier. Great things like the perfect water bottle, or a great lunch container. How about that perfect pair of comfortable shoes? Yes, even that can make our lives easier. That’s why I have paired up with three amazing sponsors, who have products that are awesome! This giveaway is for 2 lucky readers that will receive goodies great for when you’re On The Go! This giveaway will run through 7/14/16 at 11:59 pm Eastern Time and is open to US residents ages 18+. Chances of winning depend on number of entries received. Winner is subject to eligibility verification and will have 48 hours to confirm before a new winner will be drawn. For any questions or concerns please email silvie.mslg@gmail.com (please consider adding this email to your “Safe List” as the winning email notification will be sent from this email.) Please refer to the full terms and conditions in the Giveaway Tools form. This giveaway is in no way endorsed, affiliated or associated with Facebook, Instagram, Twitter or any other Social Media Networking Site. Thank You for stopping by! Previous post: Books for Kids; Stories for their lives! I like the reviews for Bynto and Hero! ALso would like to give my daughter the gift card!